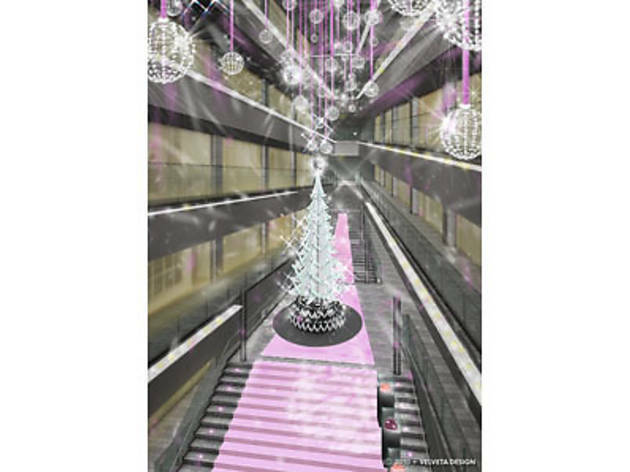 Making an entrance onto the atrium’s grand staircase inside Omotesando Hills will be a Christmas tree standing at a height of 8 metres. 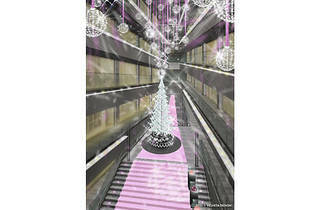 On the tree 250,000 Swarovski elements and mirrored balls will give off a brilliant display of lights, while nearby sweets presented as works of art, designed by Japanese leading pastry chefs such as Toshi Yoroizuka and Hironobu Tsujiguchi. The 12 restaurants inside the building will be offering a Christmas menu during this period. At Toraya Café, customers can enjoy a layered Kudzu pudding, which looks like a candle, while at Trattoria and Pizzeria Zazza customers can try a chicken roasted whole.